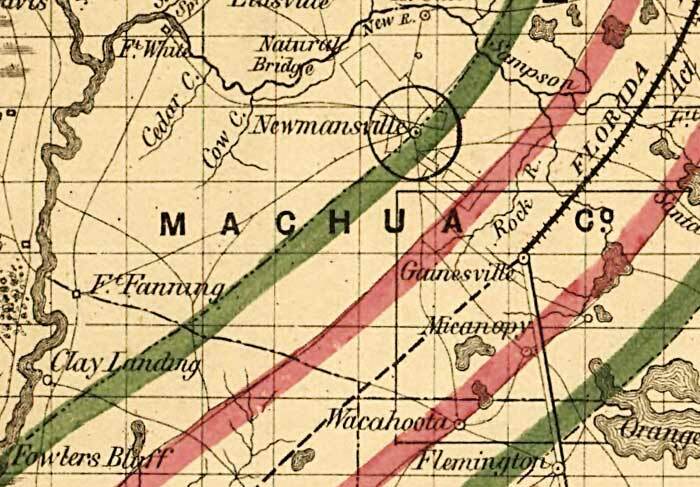 Alachua County as shown on a 1859 Surveyor General map. This map was created to accompany the annual report of the Surveyor General. It is a township map showing drainage, cities and towns, railroads, location of the land grant railroads and indicates the 6- and 15-mile limits of grants. Map Credit: Courtesy of the Library of Congress, Geography and Map Division.